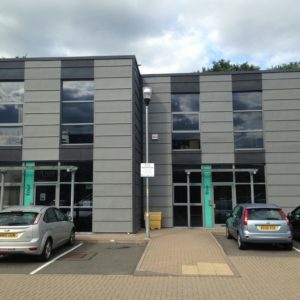 The property is located on the ground floor of unit 5 in an office development located on Cranmore Drive, Shirley. 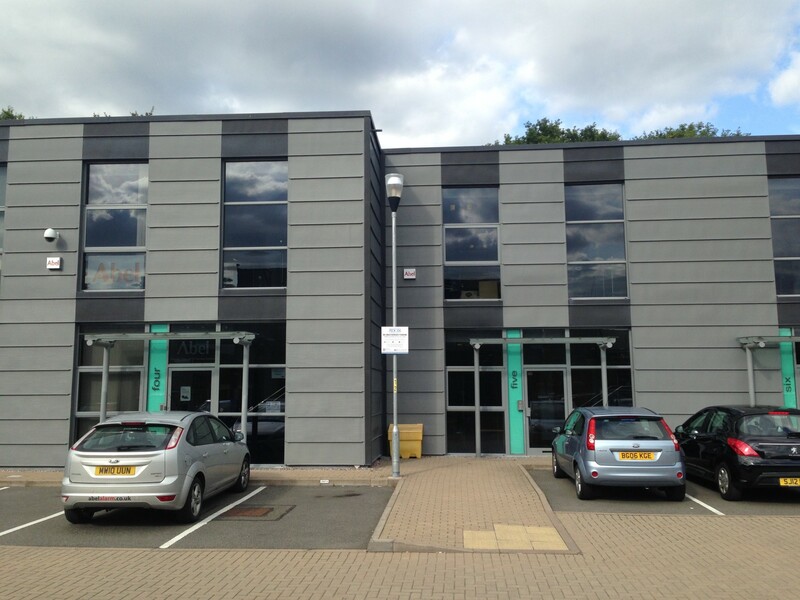 The Pavilions is an established office park comprising of a total of 12 units with dedicated parking on site. 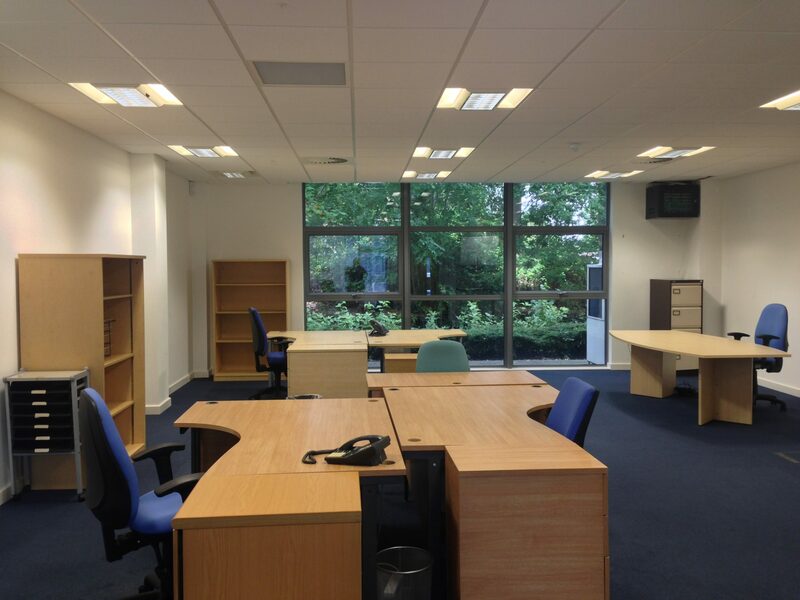 The ground floor unit is principally open plan office space, kitchenette and a separate meeting room. 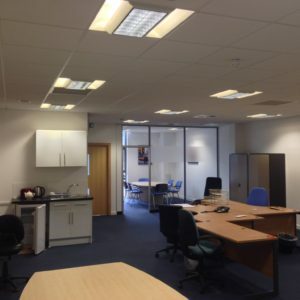 There are raised access floors, fully carpeted throughout, suspended ceilings with recessed lighting (LG7) and a shared WC/shower facility with the first floor occupier. 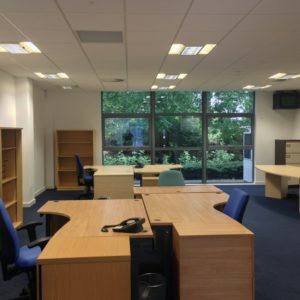 The unit is less than 2 miles away from Solihull town centre with a large number of local facilities and amenities including Touchwood Shopping Centre. 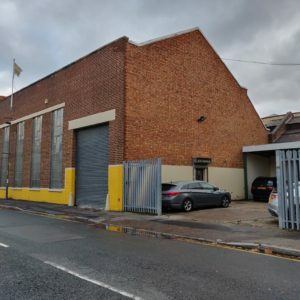 The subject accommodation comprises of the entire first floor and a two storey self contained mid terraced office building. The floor area was measured as Net Internal Area in accordance with the RICS code of measuring practice: 944 sqft (87.73 sqm). The accommodation is available by way of a new lease for a term of years to be negotiated. 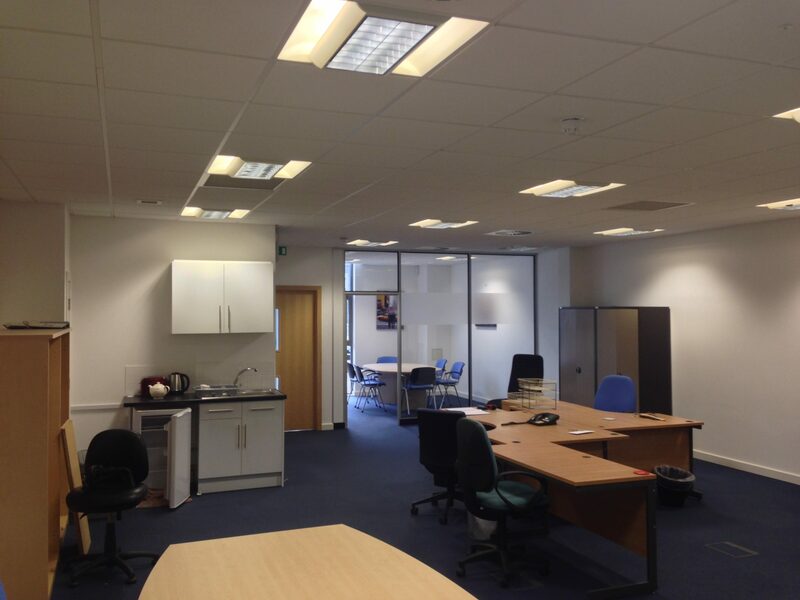 Quoting rent is £16,000 per annum exclusive, payable quarterly in advance. 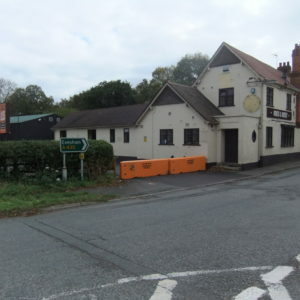 Business rates are payable on this property. A service charge is payable by the occupiers at The Pavilions to cover the cost of maintenance and upkeep of communal areas.